Before there were The Texas Playboys, there were the Light Crust Doughboys. The latter group formed and performed on WFJZ in Fort Worth Texas in the early 1930's, sponsored by the most popular product of the Burrus Mill and Elevator Company, Light Crust Flour. 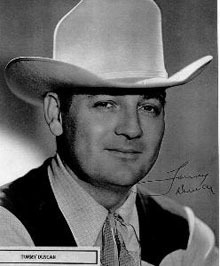 In 1932, 21 year-old Tommy Duncan beat out sixty-some other singers to earn the vocalist slot in that outfit led by a young Bob Wills. When Wills left the Light Crust Doughboys the following year to form what was to become Bob Wills and His Texas Playboys, Duncan went with him. He will forever be associated with that iconic Western Swing band and credited with contributing to its finest output. Among that output is a song Duncan himself wrote, Time Changes Everything. The Texas Playboys first recorded it in 1940 and it immediately became a hit for them and others. Since then it has been established as a standard in the genre. Given the song's subject—broadly, the impermanence of all things, including the wounds that impermanence inflicts —it is sadly fitting that Duncan's first royalty check for the song was used to cover the funeral expenses for his wife's early death from cancer. 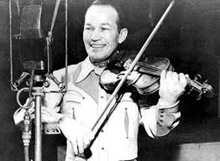 The only other serious pretender to the moniker The King Of Western Swing was Spade Cooley. If Wills had Duncan, Spade had Tex Williams. Our next cut is from a session Williams and Cooley did with Cal Shrum's Rhythm Riders in 1941. Here, Spade opens on fiddle and after the vocal you'll hear a fine guitar solo by Gene Haas, a player we would have heard much more from, I'm sure, had he not been killed in WWII. I borrowed heavily from Haas for our own Solo 3. The next generation of great country swing players includes Buddy Emmons, one of the finest and most inventive steel guitar players ever to pluck, pump and slide on that Rube Goldberg of an instrument. 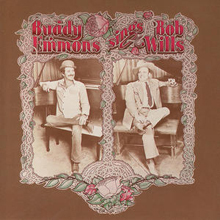 Back in the 70's he did a tribute album for Flying Fish, Buddy Emmons Sings Bob Wills and included Time Changes among the selections. It swings hard, as you'll hear on the following clip. He is joined by other heavy hitters on the Nashville session scene, including Pig Robbins on keyboards and Johnny Gimble (a former sideman for Will's himself) on fiddle. You hear those two masters of the craft providing fills on the first two vocal choruses, then an electric guitar solo by Leon Rhodes, a jack-of-all-trades musician who spent 7 years with The Texas Troubador Ernest Tubbs and 20 years on Hee Haw. If you borrow a couple licks from him (which I'd recommend), just remember to transpose them down a half step to play with us! Audio Clip: Buddy Emmons & Co on Time Changes Everything. 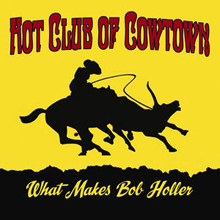 Bringing us up to the present, the Austin-based Hot Club of Cowtown just (as in, 2010) released their own tribute to the Swing King, What Makes Bob Holler? On this clip, Elana James offers up a tasteful fiddle solo and is then joined on vocals by guitarist Whit Smith. If it sounds like maybe there's a drummer in the mix, that would be Jake Erwin playing bass slap-style.